MWC 2018: Creating a better future! MWC (or Mobile World Congress to give it its full name) is one of the biggest events on the mobile calendar, with the next show running from February 26 to March 1 we’re only 2 days away. For 2018, the GSMA has partnered with Barcelona artists, Brosmind, to illustrate the unique role mobile is playing in supporting the UN Sustainable Development Goals (SDGs). Launched in September 2015 SDGs, a 17 point plan to end poverty, halt climate change and fight injustice and inequality by 2030. The event renews its show character committed to great social challenges such as quality education, decent work and economic growth, sustanaible and modern energy, gender equality. In the last edition we won the Hack D Gap Global Challenge Prize, setted to encourage coders from all over the world to get involved and participate to create solutions that will drive diversity forwards and equalize a gender balance from leaders to their employees within the tech industry. 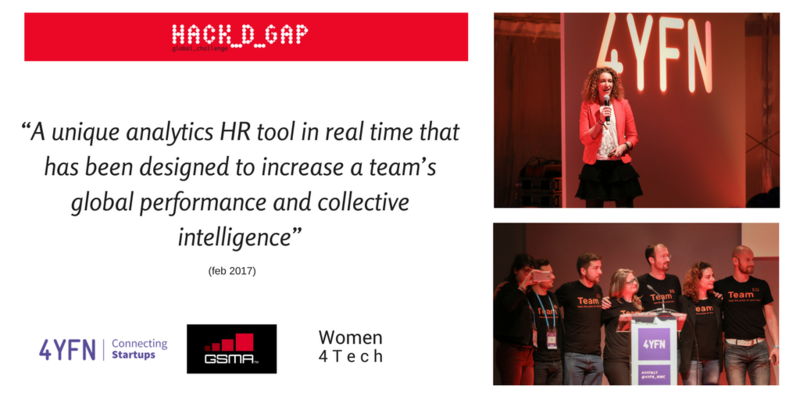 The Hack_D_Gap Global Challenge is part of the GSMA initiative Women4Tech (4YFN) seeking the best innovative ideas to solve this global challenge. 4YFN (Four Years From Now) is a business event where startups, investors, corporations and public institutions can discover, create and launch new ventures together. 4YFN has been classed as ‘the No.1 startup event for doing business’ and with a large array of activities provided for all of those attending. And this year our CEO and co-founder Francesca Gabetti will be pitchng during the Hack_D_Gap Challenge Finale, moderated by the award-winning social entrepreneur Kimberly King .Who will be the winner of this year? We will be present at 4YFN on 26th-27th-28th of February. Visit us at our booth N2 and find out how TeamEQ is empowering teams worldwide!